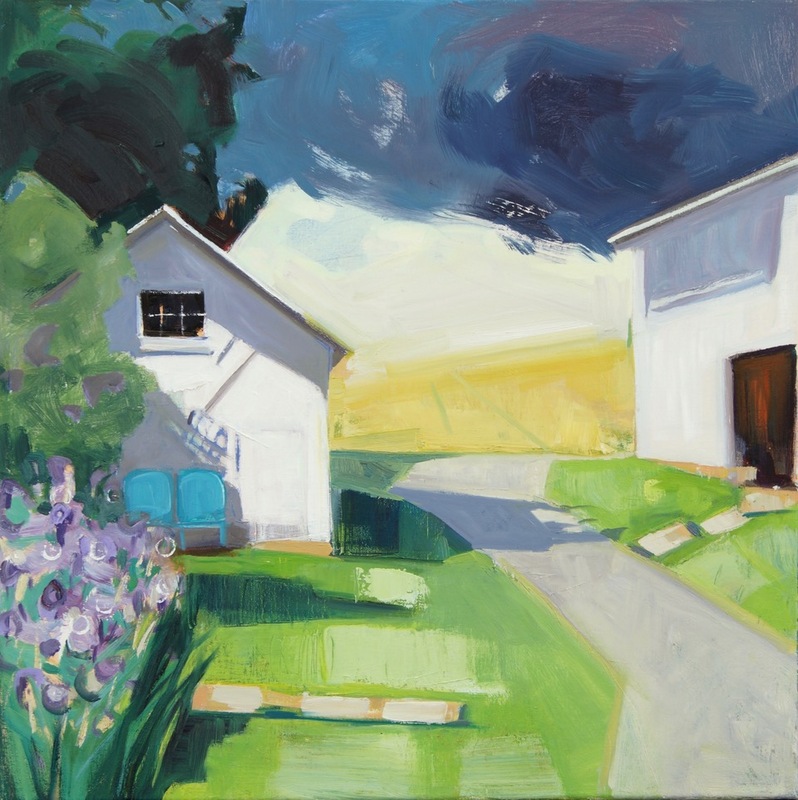 Lou Schellenberg | Big Sky Over Farm | oil on linen | 20" X 20"
Lou Schellenberg | Riverport | oil on canvas | 10" X 11"
Lou Schellenberg | What We Leave | oil on panel | 12" X 12"
Lou Schellenberg is known for landscape paintings that include architectural elements. 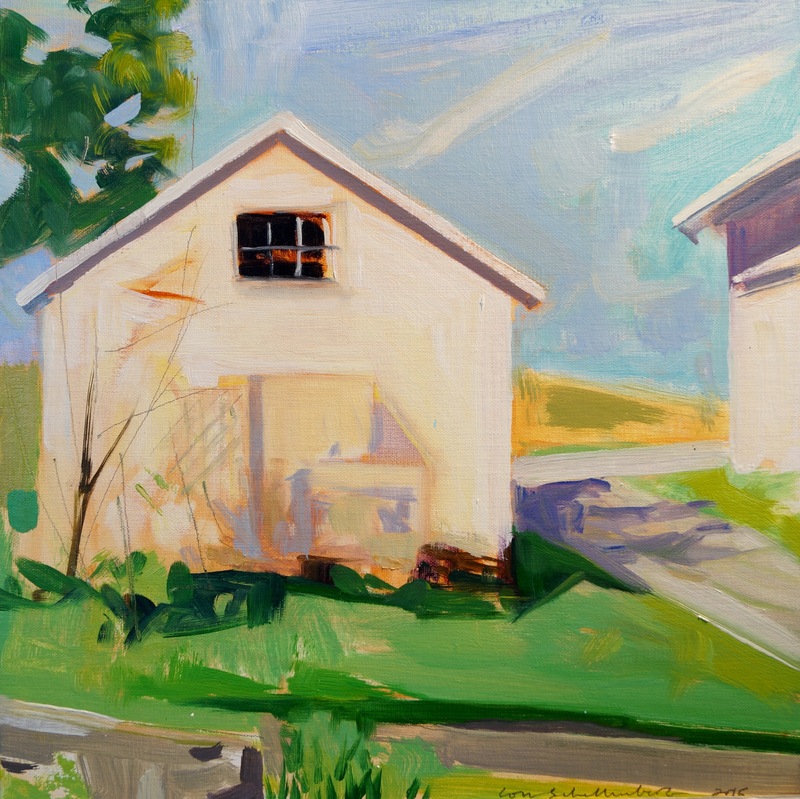 She works "plein air" from observation and her paintings reflect a love of rural places, changing seasons and our relationship with nature. Lou studied art at Framingham State University and at Boston's School of the Museum of Fine Arts. She received an MFA from the University at Albany in NY and then taught painting and drawing for 20 over years. 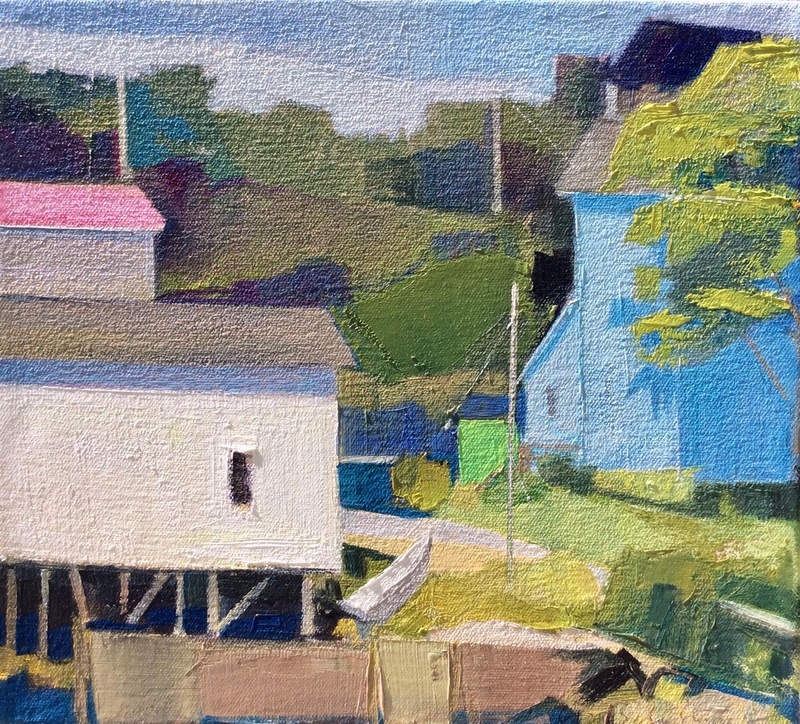 She was a founding board member of the Mount Gretna School of Art (MGSOA.org) an intensive summer painting program. Schellenberg has been painting and exhibiting for decades. She divides her year between Pennsylvania, Maine and Nova Scotia. Her work is in many private and public collections and has been exhibited in galleries and museums on the east coast. Awards for her art include a Fellowship from the Massachusetts Artists Foundation. Maine Farmland Trust Gallery, George Billis Gallery NY, Lancaster Galleries, PA, Demuth Museum, Lancaster, The Lancaster Museum of Art, PA, The State Museum of Pennsylvania, Harbor Square Gallery Rockland Maine, and the Camden Public Library.